Bruce Hosford is an affiliate service member of AJBR with 35 years of experience in the real estate business. His engagements have involved the development, acquisition, and repositioning of multiple property types including office buildings, warehouses, retail centers, apartments, R&D buildings, residential subdivisions, and wholesale marts. 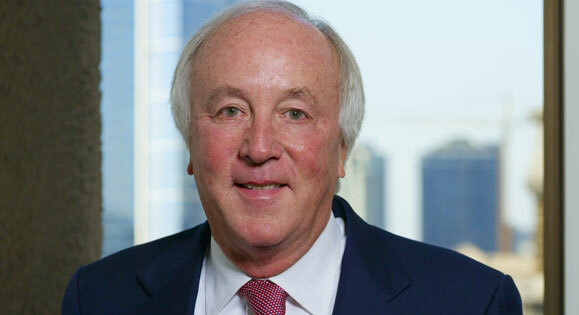 Bruce began his career with the Trammell Crow Company and was a partner in the firm from 1973 to 1987. In 1987, he became a founding partner of Spieker Partners. In 1993, Spieker Partners became a NYSE company, with Hosford serving as the Chief Investment Officer for the company. From 2005 to 2007 he was a partner with Kennedy Associates Real Estate Council in Seattle, WA. Hosford’s notable engagements included the acquisition of the Jack A. Benaroya Company assets in the first joint venture between a developer and US public pension funds—the California Public Employees Pension Retirement System (CALPERS) and the California State Teachers Employees Retirement System (CALSTRS). In addition, on behalf of the Oregon Public Employees Retirement System, he assumed an ownership role in management and completed the repositioning of the 520 Pike Tower in downtown Seattle. He also led the acquisition of $100 million of R&D buildings in Silicon Valley on behalf of CALPERS with a successful $200 million disposition within 18 months. Hosford holds a BS in Mechanical Engineering and an MBA from the University of Texas. He currently serves on the national board of Young Life and the advisory board of Forterra.